When dear friends mentioned they wanted to taste a selection of classic, old-school Cabernet Sauvignons, I knew exactly what I was bringing over for dinner. Since 1979, Randy Dunn has crafted epic Cabernet Sauvignons that define the essence of what Howell Mountain and Napa Valley can be. The 1979, 1980 and 1985 were the last bottles of those vintages from my cellar, but I can’t think of anyone else I would have rather shared them with. 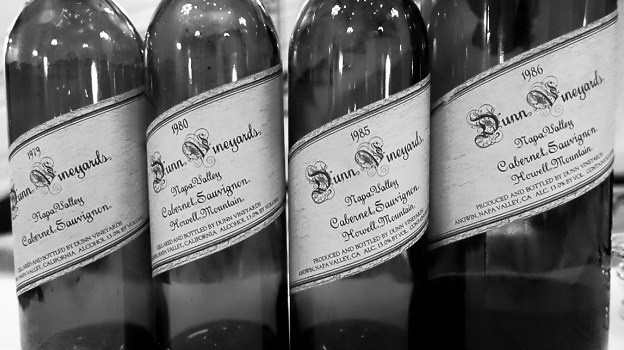 For more historical background, readers might enjoy this article and vertical tasting, which spanned every vintage of Dunn’s flagship Howell Mountain Cabernet Sauvignon between 1979 and 1999, as well as a recent article from my Forbes column. Randy Dunn got off to an auspicious start with his 1979 Cabernet Sauvignon Howell Mountain, a wine that remains magnificent today. This is an especially fine bottle, and quite a bit more impressive than the bottle I had about a year ago. Sinewy and explosive in the glass, the 1979 hits the palate with a rush of tobacco, crushed flowers, lavender, graphite and smoke. The 1979 is a wine of contrasts; at times delicate, in other moments more powerful. Raw, wild and intense, the 1979 captures a magical and innocent era in the history of Napa Valley. Readers lucky enough to own the 1979 are in for a real treat. It is one of the most hauntingly beautiful Napa Valley Cabernets I have ever tasted. 97/Drink: 2015-2025. A deep, expressive wine, the 1980 Cabernet Sauvignon Howell Mountain comes across as though it could still use more time to soften! Sweet black cherries, plums, crème de cassis, smoke and sweet herbs meld together in a powerful, intense wine with enough freshness to drink well for another healthy 10-15 years, perhaps longer. The 1980 only suffers in comparison to some of the other bottles on the table. Nevertheless, this is a terrific showing. 94/Drink: 2015-2025. Dunn’s 1985 Cabernet Sauvignon Howell Mountain is a real bombshell. Dark, sensual and beautifully layered in the glass, the 1985 is one of the more voluptuous Dunn Cabernets of this era. Graphite, smoke, licorice and graphite add nuance, while silky tannins add to an overall impression of finesse. This is another dazzling wine from Randy Dunn. The 1985 will continue to provide thrilling drinking for another two decades. The 1985 rarely fails to deliver. On this night, it is pure magic. 96+/Drink 2015-2035. Tasted from magnum, the 1986 Cabernet Sauvignon Howell Mountain is also the most forward and resolved of these four wines. Crushed flowers, mint, dried cherry and spice notes are all laced together in an open-knit Cabernet that is peaking. The 1986 is a terrific choice for drinking now and over the next handful of years, as it is not especially age worthy…by Dunn standards. 93/Drink: 2015-2020.